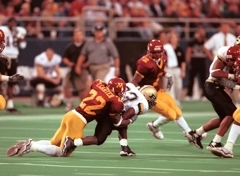 Tyrone Carter is the Gophers' all time leader in tackles with an impressive 528 career tackles. 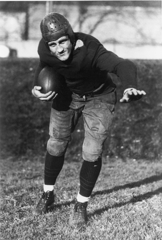 Gopher legend Bronko Nagurski is one of five Golden Gophers to have their jerseys retired. 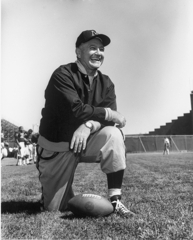 Murray Warmath is one of the greatest coaches in Gopher history, which is reflected in this fantastic database of Gopher football records. 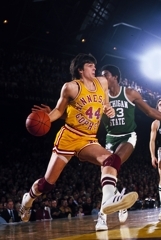 Gopher legend Kevin McHale is the program's all time leader in block shots. 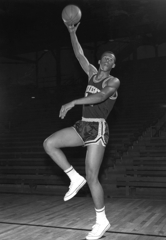 Mychal Thompson is the Gophers' all time leading scorer and rebounder. His #43 is retired and hangs above The Barn's rafters. Lou Hudson is a legendary figure in Gopher basketball history, and this database has it all.